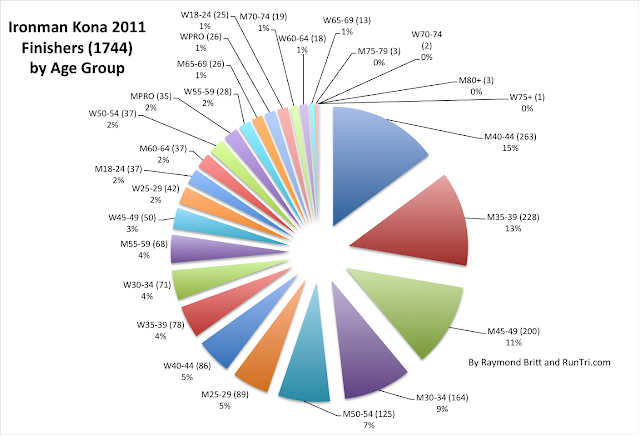 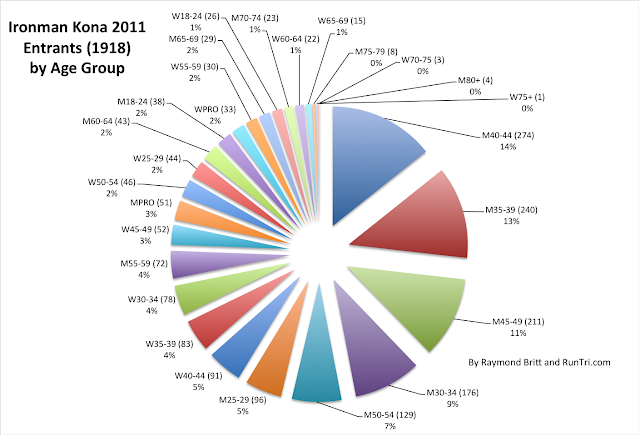 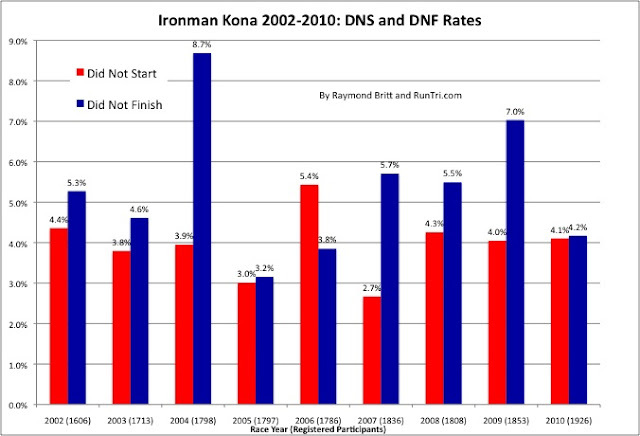 We've run the numbers on Kona since 2002, our first year qualifying for and racing in Kona, to the present. Highlights of our analysis through the years are below. 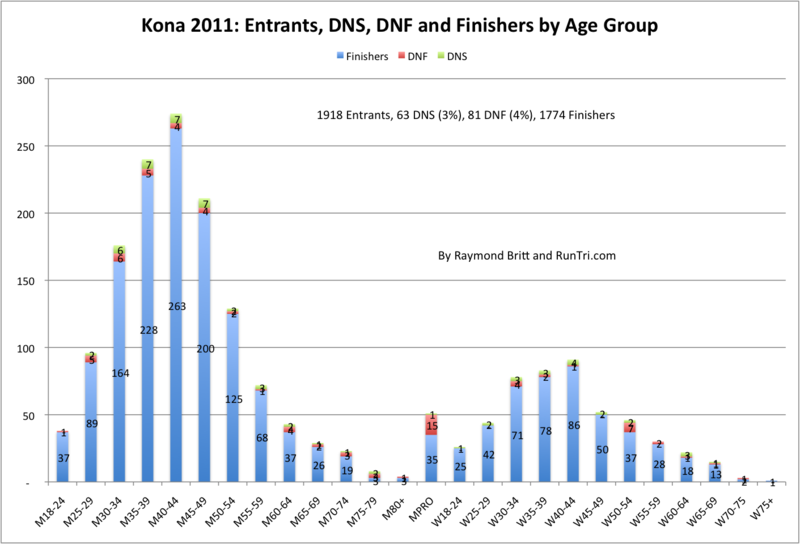 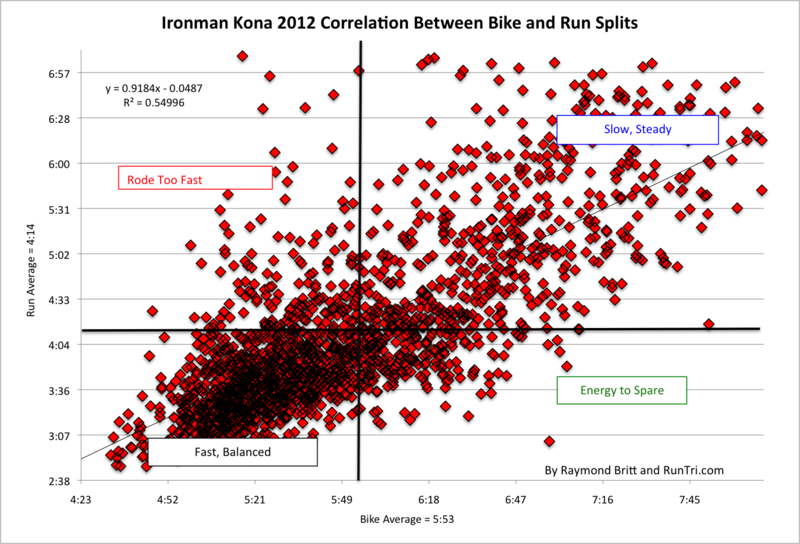 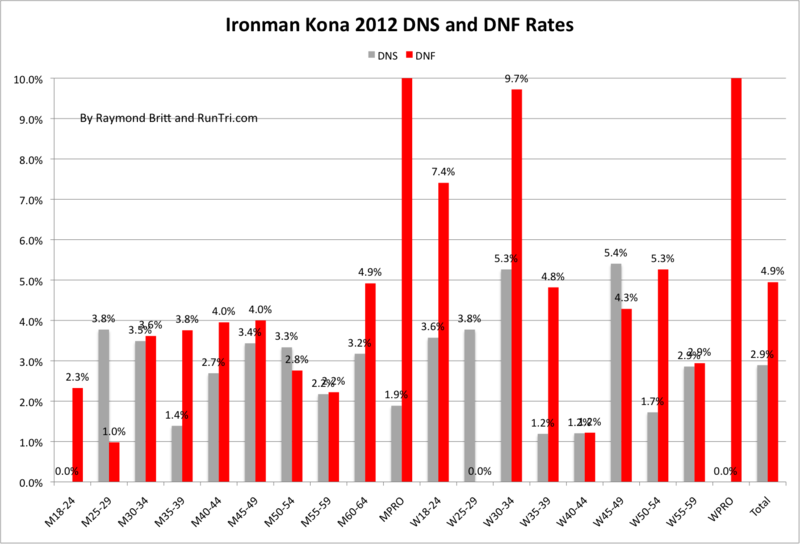 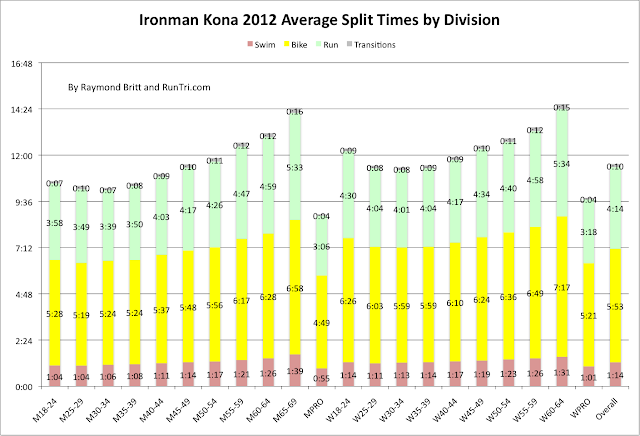 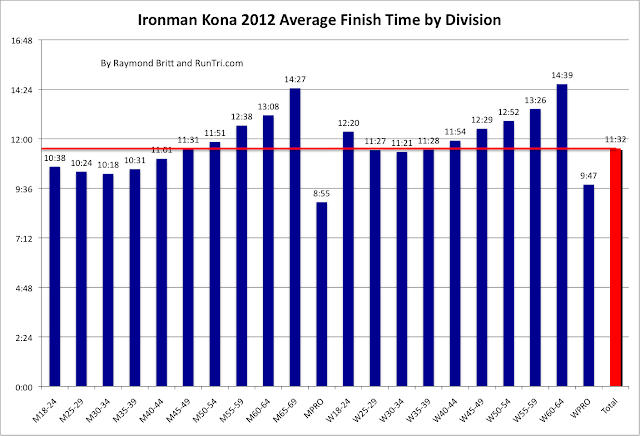 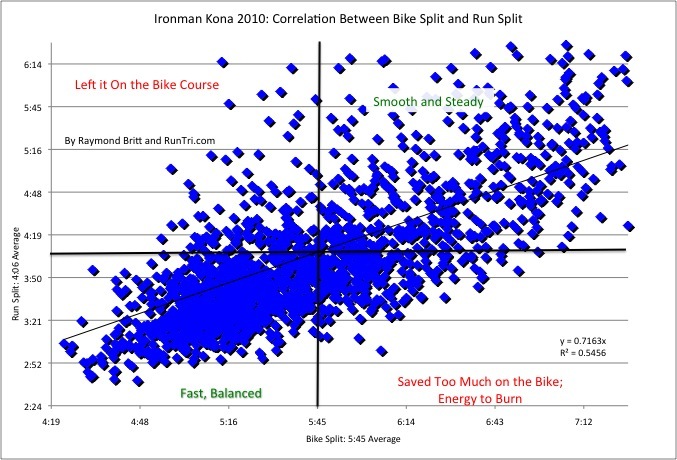 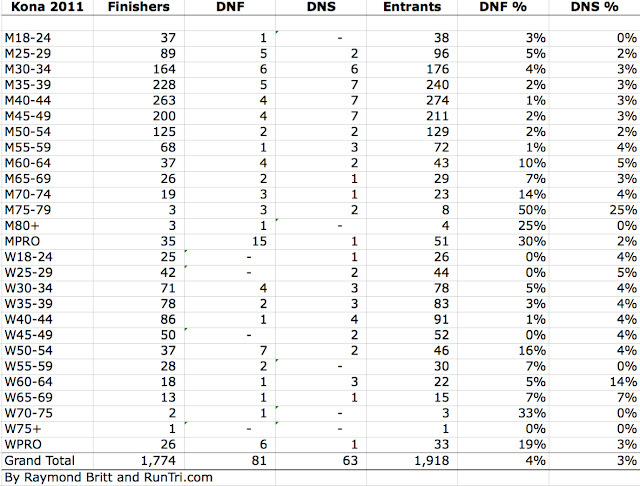 When conditions are tougher than usual in Kona you'd expect to see slower average finish times and higher DNF rates. 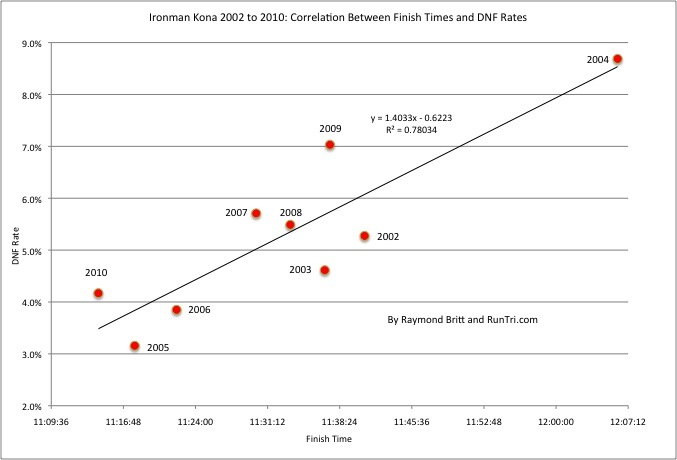 Even with a consistently best-of-the-best field of triathletes each year, the course and conditions dictate results. 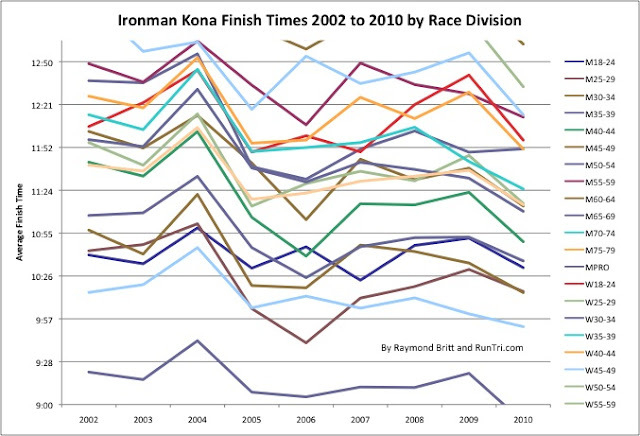 Between 2002 and 2010, the race in 2004 stands out as most challenging., while 2010 stands out as the fastest. In 2004, the winds on the bike were fierce, and the run course felt hotter than a furnace. 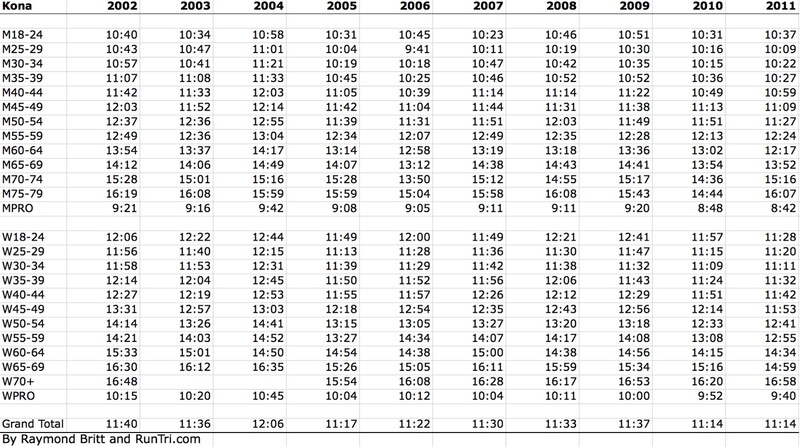 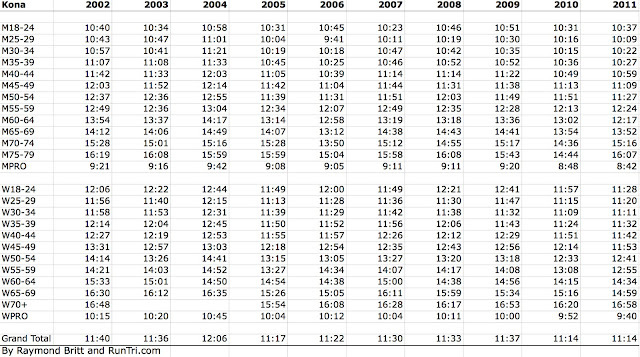 Not that 2002 or 2003 were no picnic, but in comparison, 2004 featured average finish times on the order of 30 to 45 minutes slower than in other years, and the DNF Rate was a remarkable 9%. 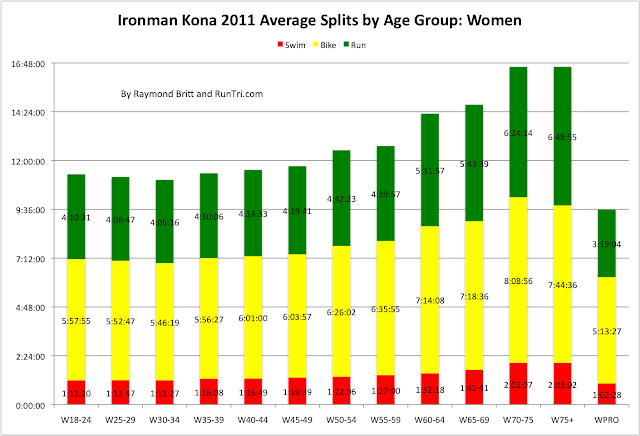 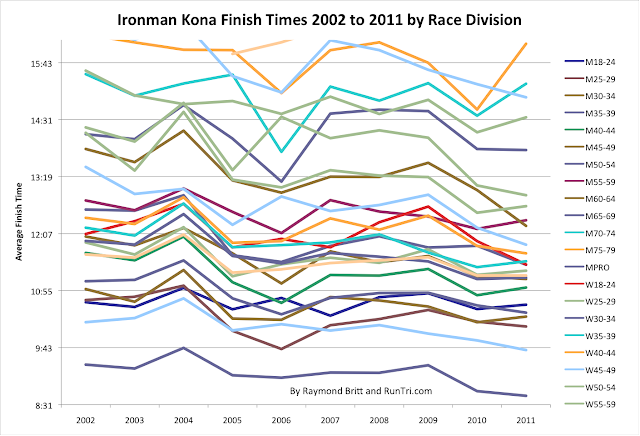 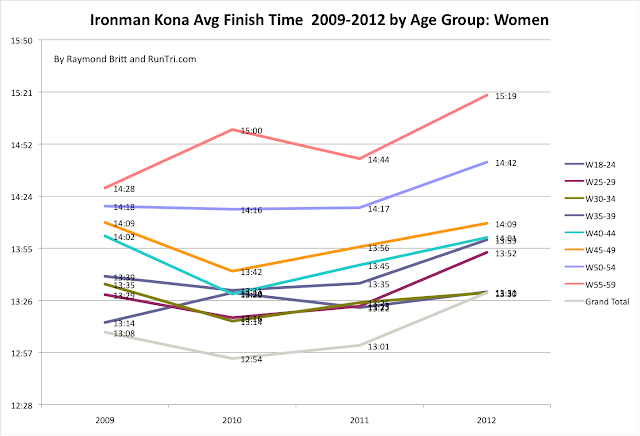 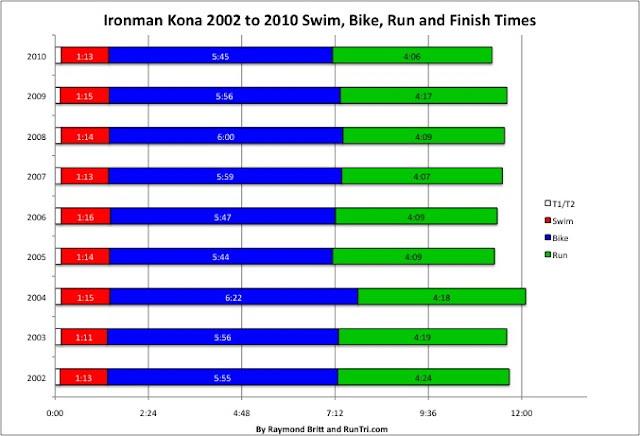 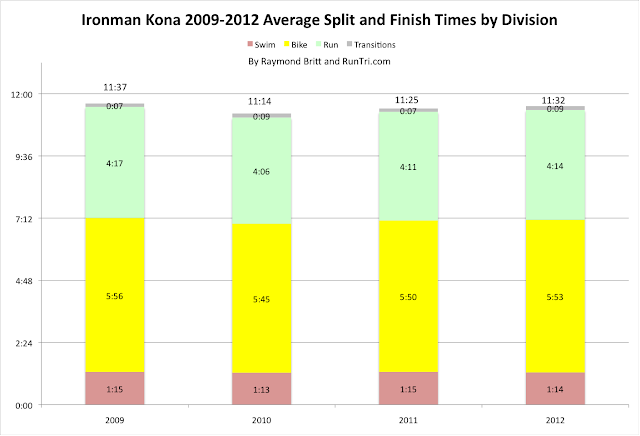 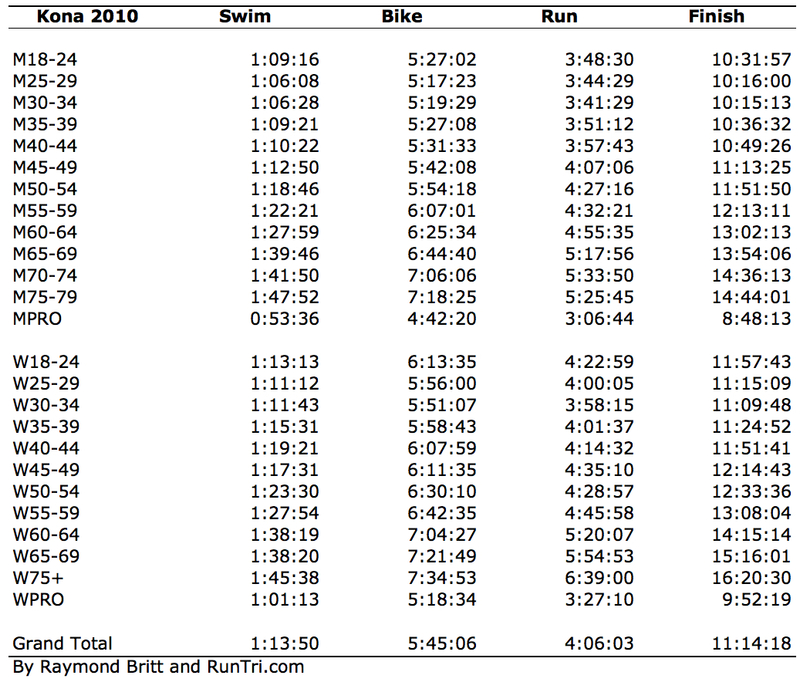 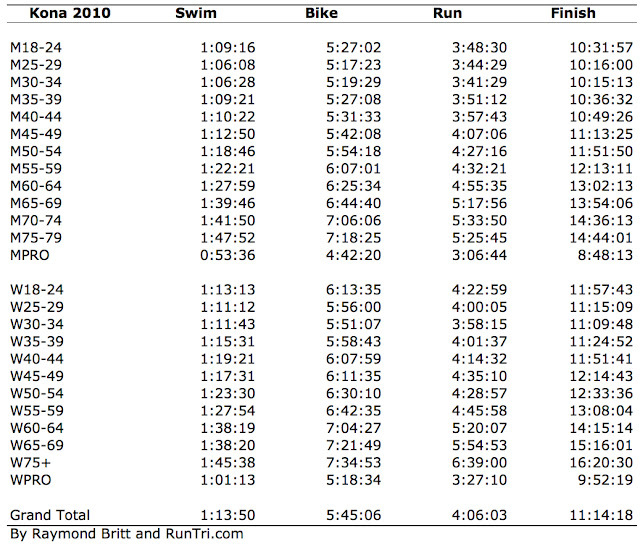 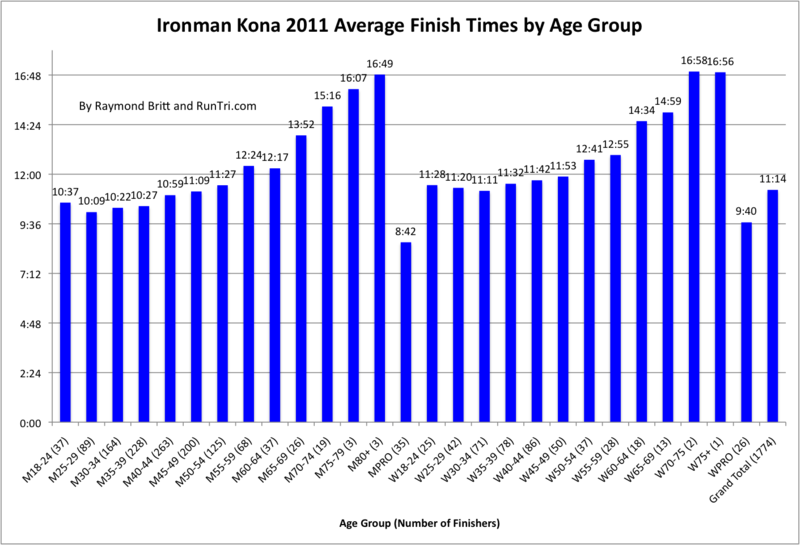 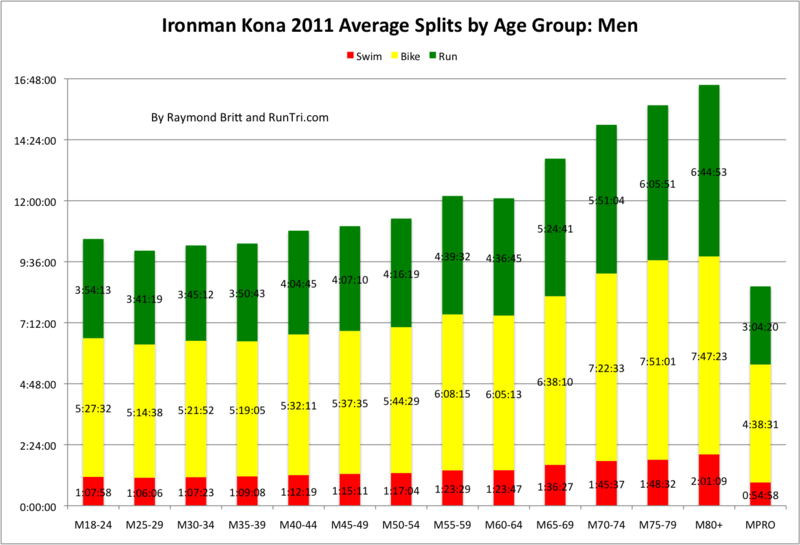 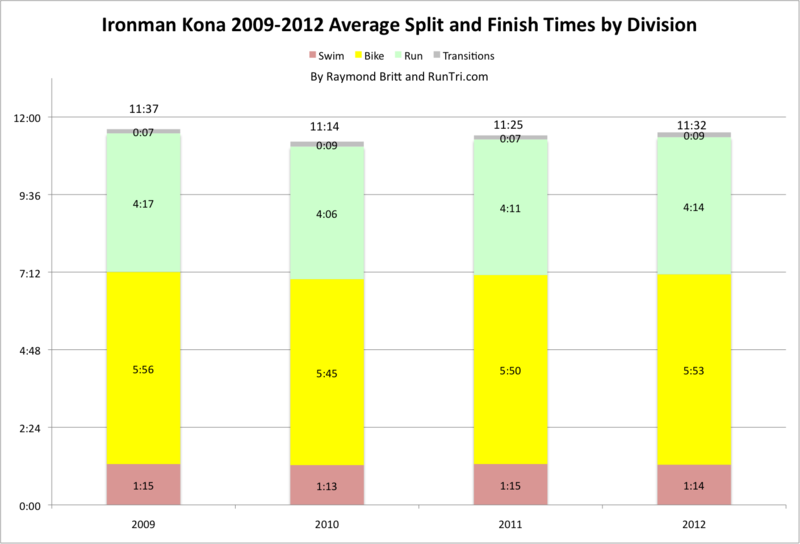 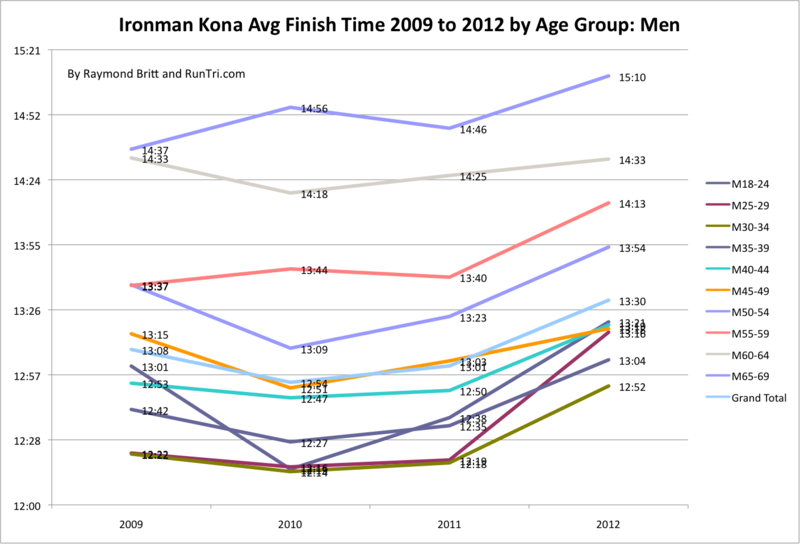 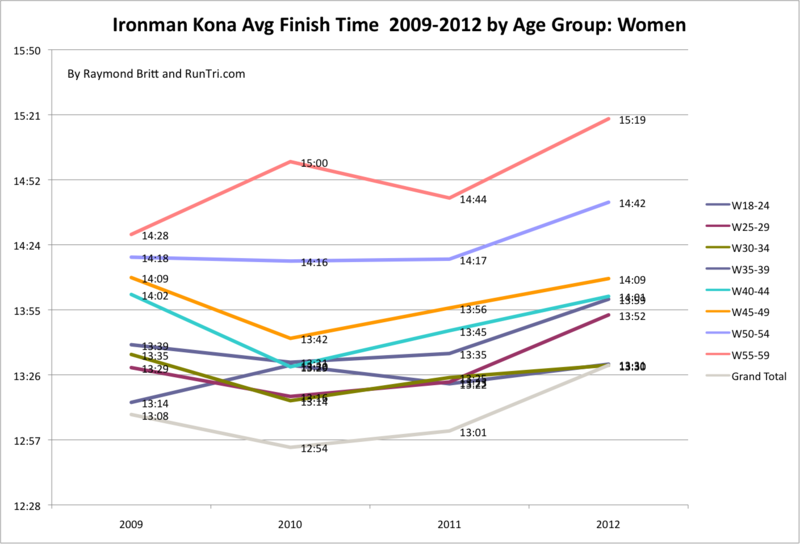 By comparison, 2005 and 2006 were among the relatively easier Kona races since 2002. 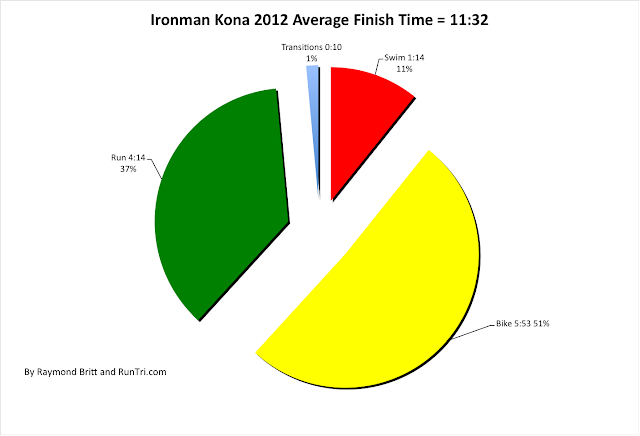 For more, see our Complete Ironman Kona Hawaii Coverage.